***Please Note: Dr. Gonzalez treats both females and males; however, will only see male patients for the following diagnosis: Incontinence*** Currently practicing at Loyola Medicine, Dr. Christopher Gonzalez specializes in Trauma/Reconstruction, and Urethral Strictures. 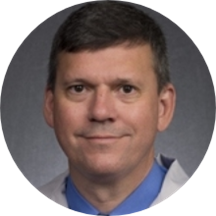 Certified by the American Board of Urology, he is a knowledgeable urologist and is proficient in managing a wide array of medical conditions. Dr. Gonzalez earned his medical degree from the University of Iowa. In addition to his medical training, he completed two residencies at Northwestern Memorial Hospital, one in general surgery and the other in urology. Dr. Gonzalez deals with his patients in a calm and composed manner and encourages them to discuss their problems freely. He takes the time to listen to their problems and gently guides them through the diverse options and treatment plans they can consider. Informative. Better than we expected. Very professional. Friendly staff. It was good, nothing to complain about.